A big cake for a big Wedding with big flavours! 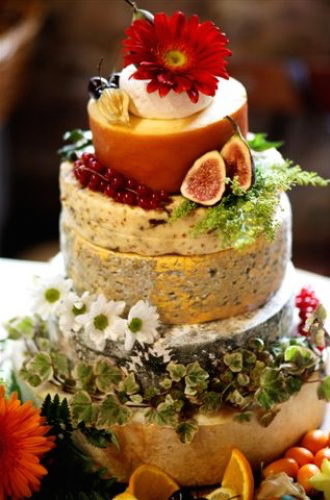 A Wedding Cheese Cake suitable for 160 to 180 guests. Next Level – Cornish Yarg, the famous nettle-covered cheese made by the Gray family, smooth and creamy. Looks fabulous on The Grand with the pattern of the nettle leaves really standing out! 27 cm diameter. Price includes delivery and decorations. We’ll even throw you in two Heart Shaped Bries for good measure to finish the whole thing off!